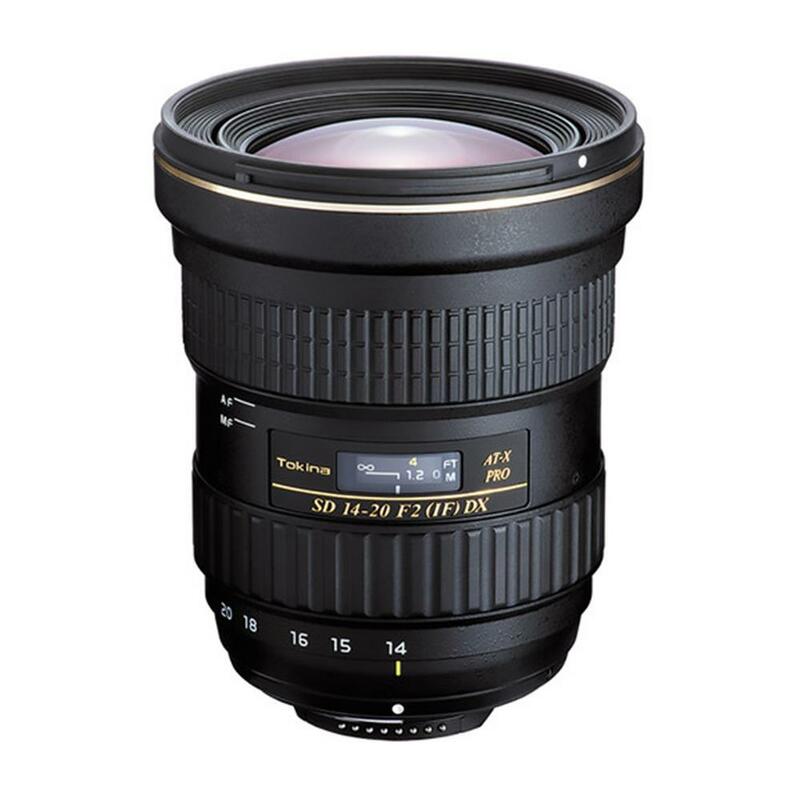 The extremely fast f/2.0 aperture lens offers an equivalent 21-30mm zoom range. The super-bright, constant f/2.0 aperture makes viewing, auto focus and shooting possible in very low light situations while still maintaining reasonable size and weight. The 14-20mm f/2.0 has an all-new proprietary optical design that uses three aspherical lens elements (2 all-glass molded and 1 P-MO hybrid) to achieve superior contrast, sharpness, and correct for spherical aberrations. Additionally, Tokina uses of an four SD (Super-low Dispersion, "FK01" and "FK03") glass elements to control chromatic aberrations.